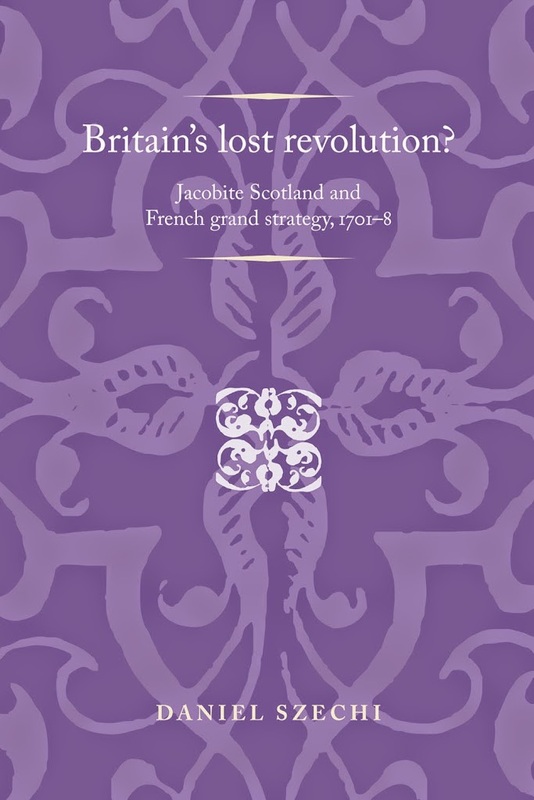 With the upcoming publication of Britain’s lost revolution? author, Daniel Szechi, has written a blog post regarding the subject and the book. Should Scotland be an independent nation? The Scots people were directly asked this question last September, and a majority said ‘No’. Had they been asked this question in the autumn of 1707, when the Scots Parliament was debating whether or not to enter a constitutional Union with England, there is little doubt that the answer would have been an overwhelming ‘Yes’. Yet the Act of Union, solemnly debated and carefully amended in both the Scots and English Parliaments, finally passed into law in May 1707 despite the clear hostility of the ordinary people of Scotland. It was, of course, a very different world to our own, in which the wishes and aspirations of the common people counted for little. But it was not just the humble folk who were dismayed and angered by being ‘bought and sold for English gold’ in the words of a famous song, many of their social superiors were equally outraged. As far as a sizeable minority of the Scots elite were concerned Scotland had been betrayed, and it was their duty to rescue the nation and its birthright. But how? In the early eighteenth century there was only one way to oppose a regime with a firm grip on power: armed rebellion. Therein, however, lay a complex of problems. The new British state was one of the most militarily powerful in Europe. A gaggle of Scots nobility and heritors (gentry) and their tenants and servants, no matter how enthusiastic for the national cause, would find it very hard to fight the British army and win. Scotland was also a poor nation and the Union offered the Scots people hope of a better life by commercial access to the English empire. This would end if the Scots rebelled. Then there was the question of what would happen next? If the anti-Unionist Scots rebelled and succeeded in defeating the British state, what kind of Scotland did they want to restore? In such an event the old regime in Scotland, subservient to Westminster and with an absentee monarch, was neither attractive nor feasible. Britain’s Lost Revolution is about the answer a coalition of anti-Unionists from within the Scots elite came up with in answer to these questions and a host of others. We know them simply as the ‘Jacobites’, but there was a great deal more to their aims and ambitions than the simple restoration of the exiled Stuart dynasty. Sure, they were willing to bring back James ‘VIII’, the son of James II and VII, as the king of Scotland, but only as part of a package. This included full scale French military intervention to enable the rebels to fight the British army with some hope of success, privileged commercial access to the French colonial empire to replace the economic advantages of access to the English empire and James’s agreement to a raft of radical constitutional changes that would have turned Scotland into a noble republic that would never again be subservient to England. Had the would-be rebels of 1708 succeeded the British Isles would have been transformed and the modern United Kingdom would not exist. For a moment then, in March 1708, as the French invasion force set sail for Scotland the fate of everything we now assume is solid and certain about our constitution and its politics hung in the balance. This was Britain’s lost revolution. Category: History, International Relations, Politics	21 Comments.